I was asked by Patrick Friesen to participate in a blog tour, kind of a chain letter that keeps going from one Canadian writer’s web site to another, picking up—we hope—some readers along the way. Patrick’s description of his writing process is inspiring and shows why he continues to be a both prolific and engaging writer. I’ll be passing the baton to the wonderful novelist Joan Thomas for next week, whose new book The Opening Sky appeared in September with McClelland & Stewart. Joan has already shown in her previous books, Reading by Lightning and Curiosity, an impressive ability to get inside the minds and emotions of her characters. Her new novel again displays her gift for empathy, but it’s also witty, sly and filled with rich observations about my home town and its citizens. I’ve just finished editing one of my books for publication, and am now editing another. The winter, long and hard here in Winnipeg, went into working on Detachment: An Adoption Memoir, with Barbara Scott of Freehand Books, and it will appear in September. Barb was an astonishing editor, pushing me very hard and also being wise in the ways of story and truth-telling, two of the things that really mattered for this book. Detachment tells the story of adopting two of my sons in Ukraine, and also flashes back to my father’s traumatic childhood fleeing Soviet Ukraine during World War II. The book begins with me in a psychologist’s office, breaking down in despair at the challenges of adoption, keeping my marriage together, and understanding my father and his own detachment. Then the story backtracks to the adoption process in Ukraine, and moves to Canada, where our family gradually comes together. Right now I’m working on my new book of poems (for publication in fall 2015) with Jim Johnstone, poetry editor of Palimpsest Press. Jim is keenly interested in the kinds of edgy and formally rooted poetry that I admire, and because he’s such a fine craftsman as a poet himself I have a lot of trust in his judgement. I’ve also been preparing to write a monograph about Patrick Friesen’s poetry, which I was invited to do by the folks at Frog Hollow Press in Victoria. Patrick was an important influence and mentor for me in my early work, and his artistic practice remains inspirational to me. I want to use some of Owen Barfield’s 1928 book Poetic Diction as a conceptual framework to discuss Friesen’s oeuvre, which I think is unjustly neglected because of his Manitoba origins; English-language CanPo, like all CanLit, is Toronto-centric to a truly sick degree, as articulated so well in Stephen Henighan’s essays. 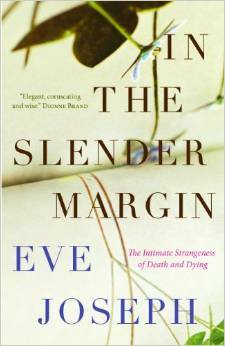 I much admire Eve Joseph’s new book In the Slender Margin (see her blog post here and Patricia Young’s strong recommendation), and also the whole tradition of memoir that tends more toward reflection than narrative and event, but Detachment is more in the narrative line. Like Eve, I did not try to break any new ground in formal terms, but did allow myself to take liberties, for example with reproducing dialogue as if my aural memory were perfect (it’s not! ), and sometimes by playing with the exact chronology of events. 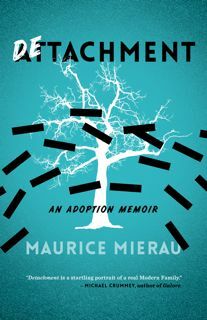 One of the unusual things about Detachment is that it’s a memoir about parenthood written from the father’s perspective. In our apparently gender-liberated culture I think we almost expect these kinds of books to be written from the mother’s perspective. 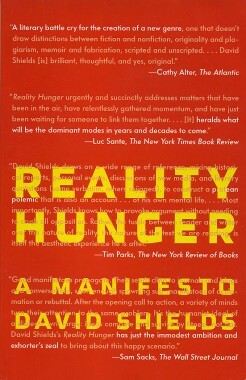 Many of the techniques used in narrative memoir are now thought of as novelistic, but in fact the novel ‘s origins are really in non-fiction (see David Shields in Reality Hunger, my favourite book of the last decade), and novelists are the same kind of magpies and thieves as non-fiction writers like me. My poetry is preoccupied with the English language tradition, but also the roots of emotion and my various hobbyhorses. The new book begins with a poem about John Berryman, and Emily Dickinson shows up too, along with Bob Marley, Britney Spears, a Mennonite martyr, Marilyn Monroe, Big Bear, and a few fragments of me. I wanted to get away from writing about myself after working on the memoir so intensively for so long, and maybe that explains the sheer amount of subject matter in this collection. But it will be a short book, I promise. Many reasons: I love the forms in which I work and am a somewhat pathologically committed reader and note-taker. Part of me wants to reproduce the deep pleasures of my experience as a reader for others. Then there is the obsessive quality of my interest in subject matter that I cannot let go of. Also, I want to reach readers. It often doesn’t. I wish for something that could be called a process without derisive laughter. I started Detachment in 2003, writing an entire extra book consisting mostly of unmitigated dreck, which means I should get an award for World’s Least Efficient Writer; I set the project aside at one point for an entire year. My new book of poems kept driving me into the ditch for about six years, a process that involved realizing my own limits and then loosening some of the inappropriate technical constraints I’d set myself. Writing first drafts usually begins with a lot of notes and reading which eventually reveals itself as pure procrastination. Recently I write first drafts starting before six in the morning, when I hate getting up, and when my built-in editor and other rational faculties have not kicked in. This gets me through my least-favourite part, the awful first draft, when short-circuiting my inhibitions is essential. After that I have more fun. Editing is enjoyable to me, especially tinkering with structure, technical issues, deciding what’s in and what’s out. I also enjoy working with editors; that’s the social part of what is mostly a solitary business.